Ergonomics in zenon starts with the continuous development environment of the zenon Product Family. You gain from synergies in engineering from the PLC programming right up to complex SCADA projects. This eases working and is an optimal prerequisite for quick and error-free engineering. zenon can be expanded in a modular fashion and will grow with your requirements, with flexible expansions, thereby guaranteeing the security of your investment. All products from the zenon Product Family integrate themselves seamlessly. Reusability is continuously guaranteed thanks to joined databasis and zenon projects are completely scalable. This allows, for example, for zenon Operator created HMI projects to be easily developed further to a complex SCADA system with zenon Supervisor. 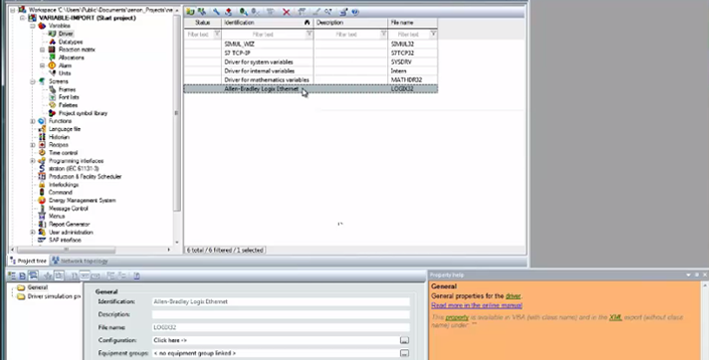 zenon Analyzer completes the applications with Dynamic Production Reporting. The consistency of zenon has set new standards in the HMI/SCADA world. Complete backward compatibility also enables zenon projects which are based on older versions to be edited at any time.